Located in the market town centre, Boosh is a new, stylish and cosmopolitan bar. Situated on Abbeygate Street in Bury St Edmunds, this beautiful Grade 2 listed building hosts a venue that will appeal to all ages. When visiting Boosh you will find two bars, serving a fabulous array of drinks. We have a huge selection of Gins, Rums and Vodkas all served with premium tonics. Unique beers on draft including Mosaic from Adnams and INEDIT from Estrella. If you are looking for something more creative, our cocktail list has something for everyone to enjoy, from the classic Cosmo to the trendy Aviator. We also have an extensive wine and Champagne list. During the day, Boosh offers fresh tea, coffee, home-made cakes & pastries. Lunch is always homemade and served from 11am. 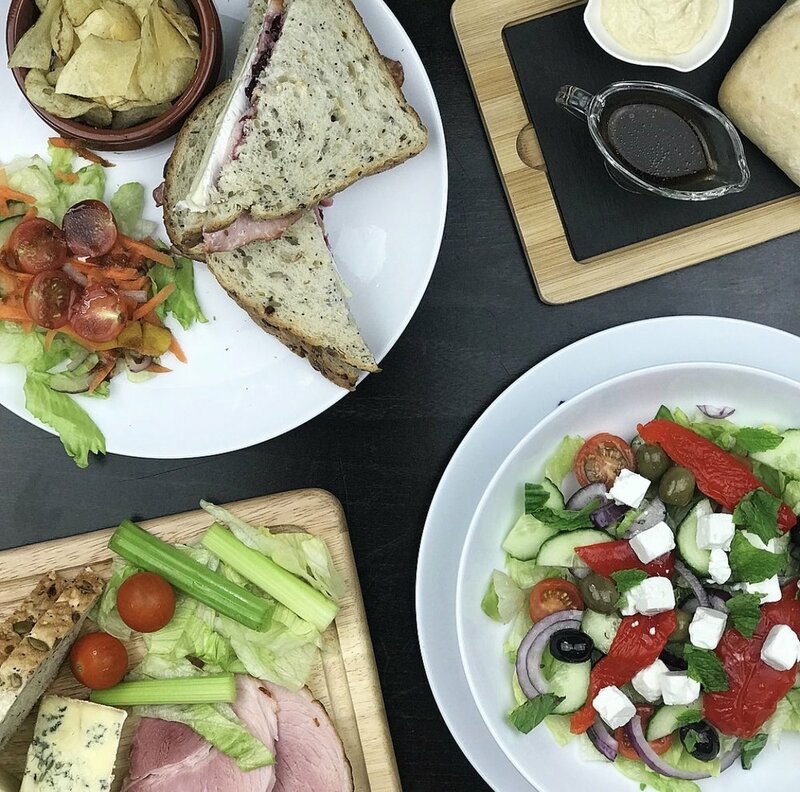 We offer traditional home-cooked favourites such as Mac & Cheese, Chilli Nachos, sandwiches and salads. Boosh is stylish, cosmopolitan and the place to be, hope to see you soon! We have just opened ‘The Gin Lounge’ set on the first floor of our early 17th Century building. 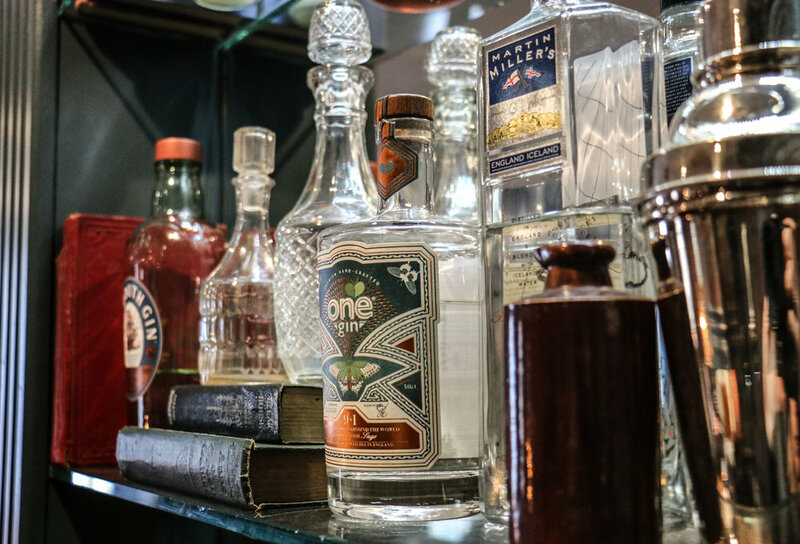 We have a vast selection of over 40 gins from all over the world and a unique choice of tonics & mixers. 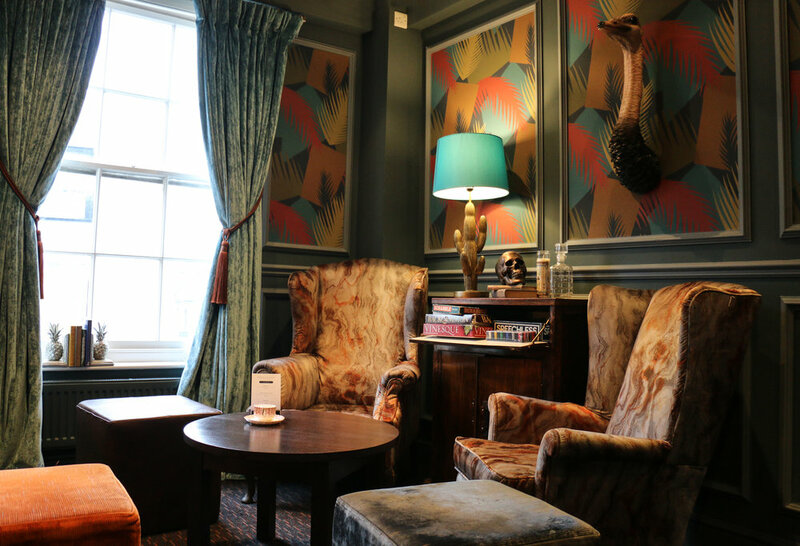 The lounge is a cosy and curiously characterful setting. Think antique Gentlemen’s club meets cocktail lounge. Open Friday & Saturday evenings from 7pm. Enjoy your board meeting located in the heart of Bury St Edmunds. We are offering a meeting space with lunch & brunch room service. Have a party or special occasion coming up? At Boosh you can private hire our cocktail lounge or booth’s. Hen do’s, Birthday Parties and Anniversaries. 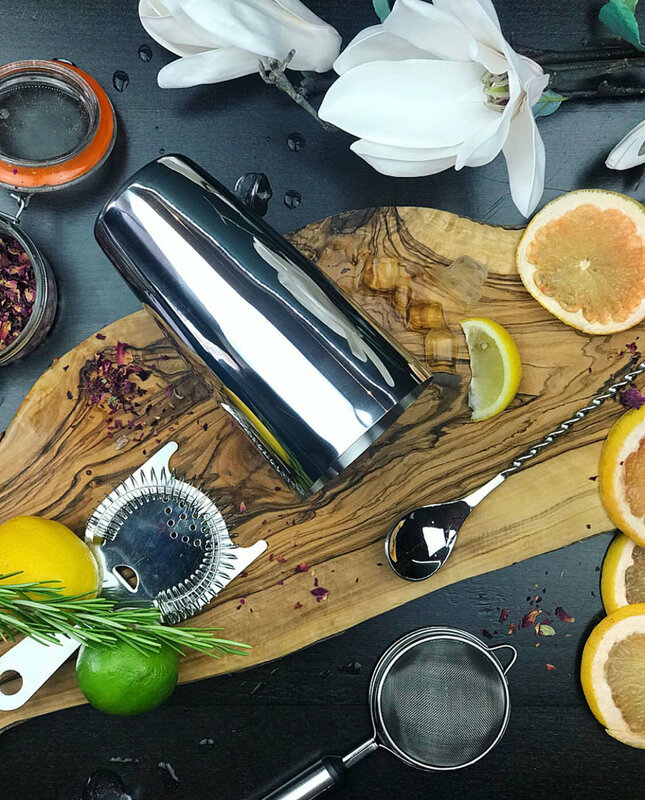 You can book a cocktail making masterclass for you and your guests at Boosh. The experience starts with a glass of Prosecco on arrival. Followed by the creation of 2 of our bespoke cocktails with one of our experienced mixologists.